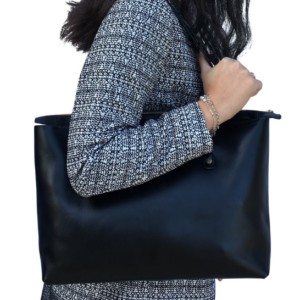 Featuring our textured Croc-Print leather in Black/Nut Brown, this chic bag allows you to take your essentials along with you without any fuss. 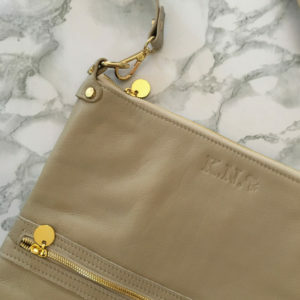 The internal lining has cardslots sewn in which allows you to ditch your purse for the day/night, and a separate little pocket ensures that your intimates are kept safely tucked away. 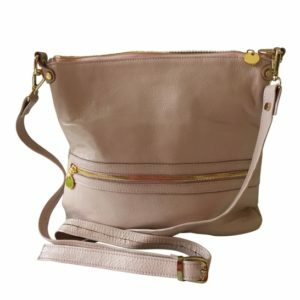 The bag stands on 4 little metal feet and the strap is just the right length to perch on your shoulder without being too long. 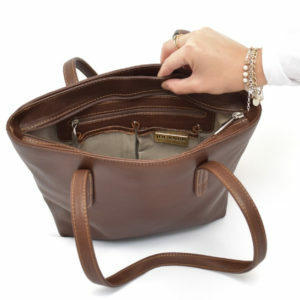 There is also a small handle on the top of the bag which allows you to carry it by your side or over your wrist as the Queen does. 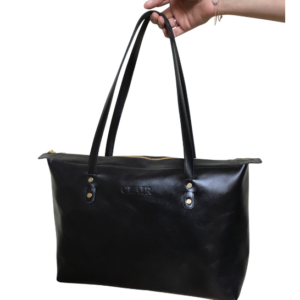 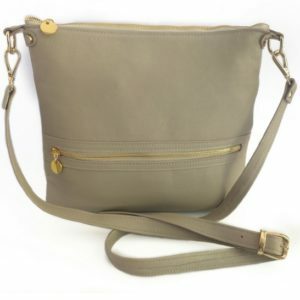 The shoulder sling is removable and offers you the choice to take it off should you want to carry the bag by its top handle. 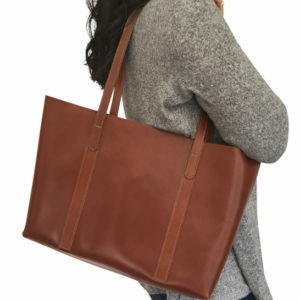 The bag closes using a magnetic button and features a pleasing line along where the “lid” ends and the bag itself begins. 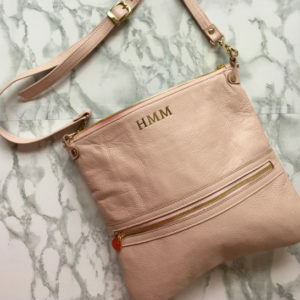 We regret that this item is not able to be personalised. 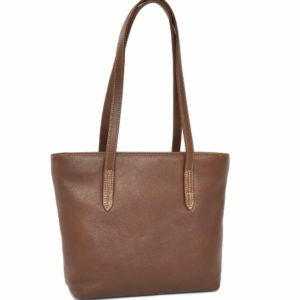 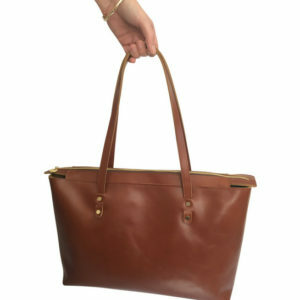 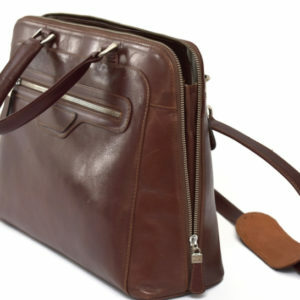 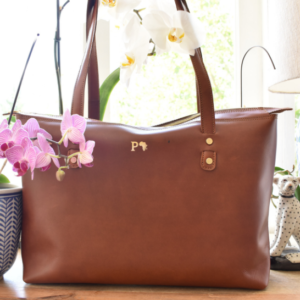 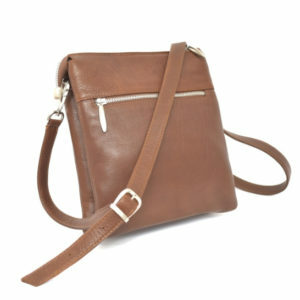 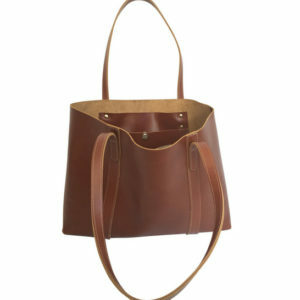 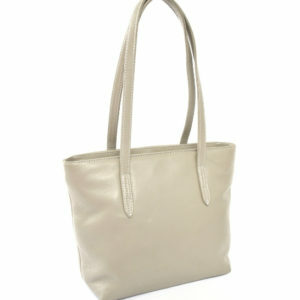 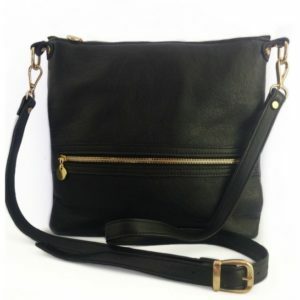 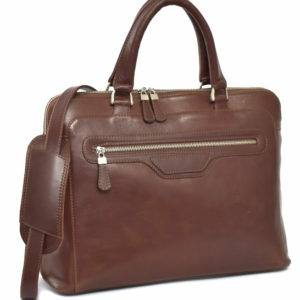 Luxurious cotton lining is used within, with zipped inner pocket, two open pockets and 4 card slots. 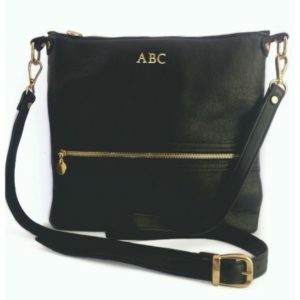 Personalisation is not available on this style.